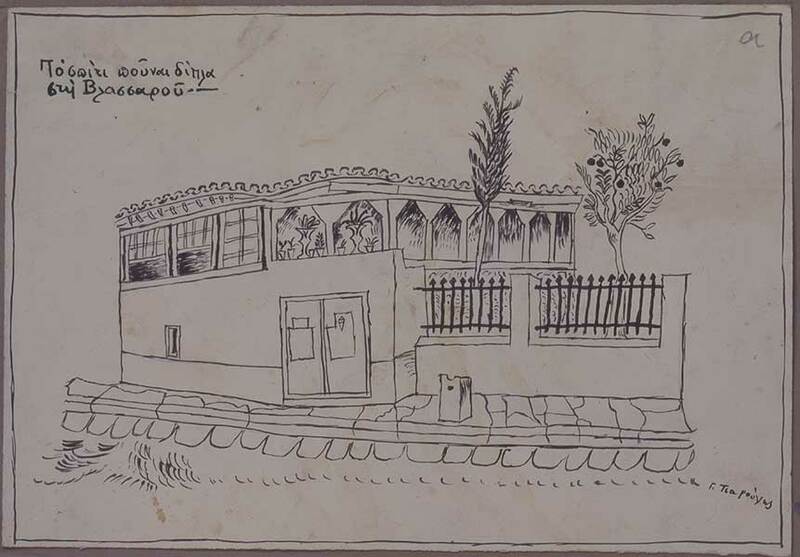 Το αρχοντικό των Μπενιζέλων – The mansion changes throughout its life! Το αρχοντικό των Μπενιζέλων > The mansion changes throughout its life! 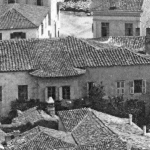 The konaki of the Benizelos family, in the form in which it has been restored today, responds to the way of life of the 17th and early 18th century, the time to which its construction must date. 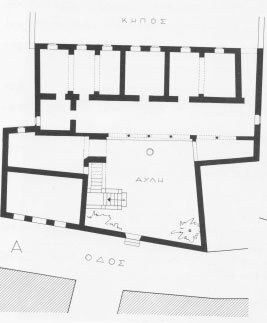 This is characterized by an austerity of form and by the organization of the floor plan of the upper story centered on a spacious hayiati. Evidence for its precise dating is lacking. 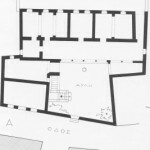 Later, in the course of its life, the mansion saw significant modifications that expressed the architectural choices of each period and responded to new priorities. 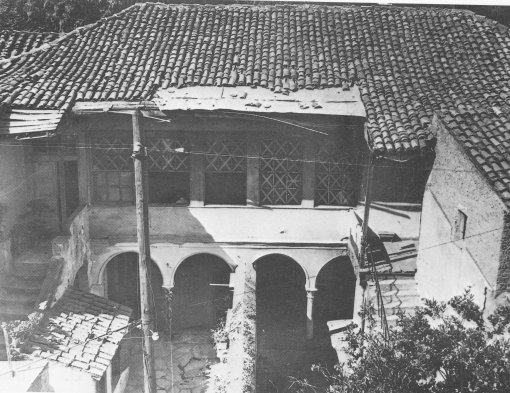 In the late 19th century, the projecting enclosed balcony (sachnissi) in the center of the south façade appears to have two large windows with Neoclassical proportions, instead of the three original windows and the stained glass upper windows. 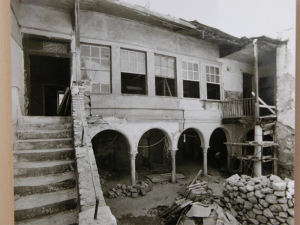 At that time the intervals between posts of the hayiati were closed with sash windows, while there were extensive interventions to the windows and doors: the old openings were sealed and new were opened in different positions. 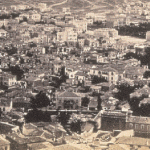 The mansion and the surrounding city, c. 1860. 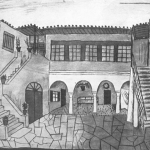 Similar changes, recording a shift in the dominant architectural style, can be detected in the depictions of other noble houses. Gradually a blending of rhythms occurs and the façades acquire a new tone, with Neoclassical proportions of the windows, until Neoclassicism finally completely dominates. 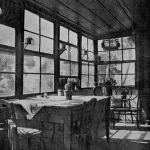 Later, sash windows were also added, transforming the open wooden hayiati to a closed glazed gallery. View of an old house with sash windows. In the early 20th century, the projecting enclosed balcony of the south façade of the house at 96 Adrianou Street was destroyed and the area was closed by a stone wall – this is the period in which the mansion is divided into two properties. 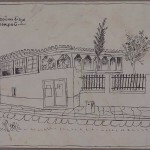 Thus, the first scholars studying the building could not fully recognize its characteristics and therefore its character. 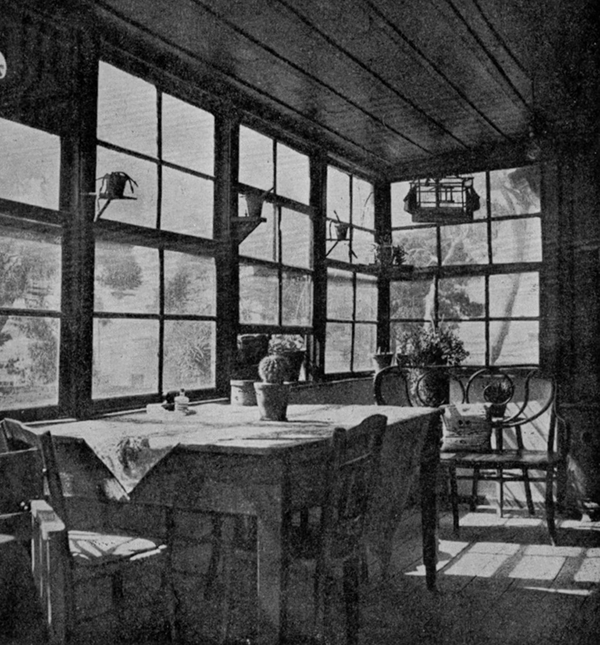 Anastasios Orlandos, who studied it in 1940 – at that time divided into two properties – wrote about the “complete lack of projecting enclosed balcony…and…small stained glass upper windows, …over the windows”. 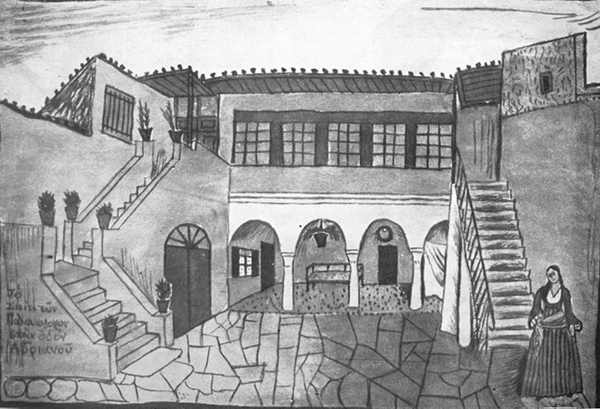 Ioannis Travlos published the building in the same form in 1960. 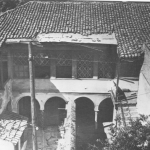 The mansion in the mid-20th century (photograph by P. Papachatzidakis), from I. Travlos, Πολεοδομική εξέλιξις των Αθηνών, pub. 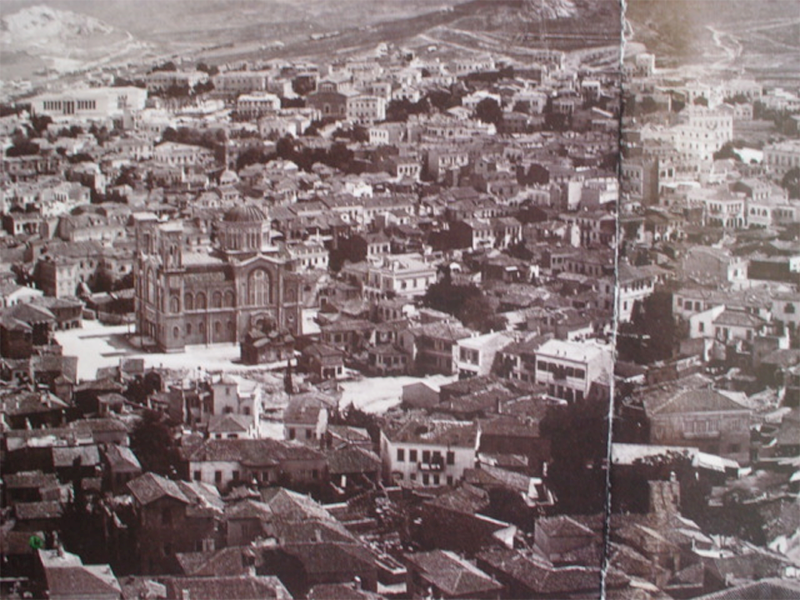 Kapon, Athens 1993, p. 227. 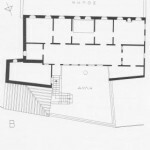 Plan of the upper story of the mansion, 1959 (drawing by Katerina Konsta), from I. Travlos, Πολεοδομική εξέλιξις των Αθηνών, pub. 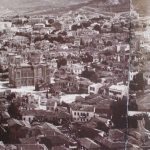 Kapon, Athens 1993, p. 227. 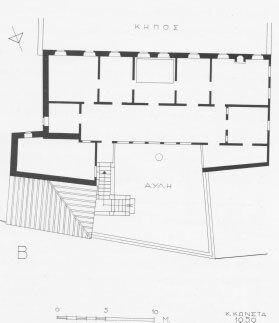 Plan of the ground floor of the mansion, 1959 (drawing by Katerina Konsta), from I. Travlos, Πολεοδομική εξέλιξις των Αθηνών, pub. 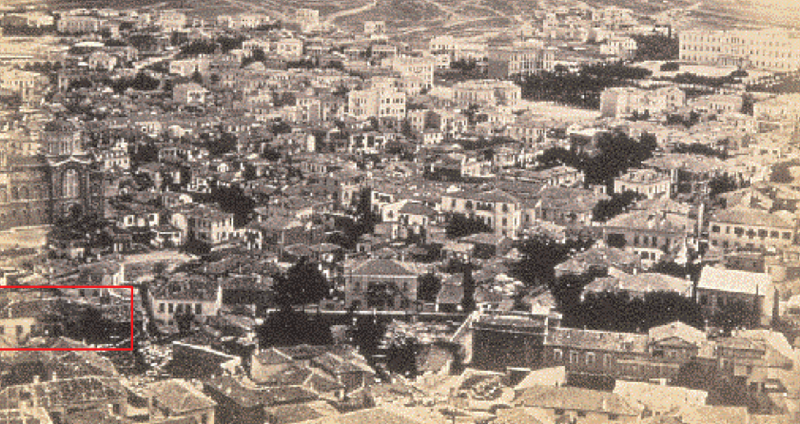 Kapon, Athens 1993, p. 227.